Acumatica, provider of cloud-based accounting software, was presented with Gold, Silver, and Bronze Stevie® Awards in four categories in the 12th annual American Business Awards. It is the first Gold Stevie for Acumatica. Acumatica won a Gold Stevie for the New Product or Service of the Year for Cloud Platform, a Silver Stevie for Software, and Bronze Stevies for Financial Management Solution, and Most Innovative Tech Company of the Year categories. 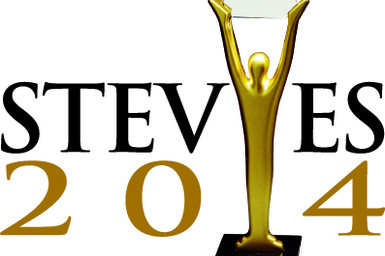 Previously, Acumatica won two silver Stevie Awards. The American Business Awards is the nation’s premier business awards program. All organisations operating in the United States are eligible to submit nominations – public and private, for-profit and non-profit, large and small. Nicknamed the Stevies for the Greek word for “crowned,” the trophies were presented to winners during a gala banquet on Friday, September 12, at the Palace Hotel in San Francisco. More than 250 nominees and their guests attended for the presentation of new product awards, Website awards, app awards, and more. This year’s American Business Awards were presented at two awards events. Awards for marketing, customer service, human resources, and other disciplines were announced in Chicago in June. September’s event focused on the technology and new product awards categories. More than 3,300 nominations from organisations of all sizes and in virtually every industry were submitted this year for consideration in a wide range of categories, including Most Innovative Company of the Year, Management Team of the Year, Best New Product or Service of the Year, Corporate Social Responsibility Program of the Year, and Executive of the Year, among others.